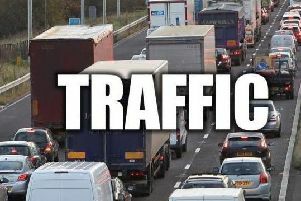 West Yorkshire Police are responding to reports of a crash on the M62 near Castleford. A spokeswoman said they were called shortly before 11.30am after a lorry and a white Peugeot vehicle collided on the westbound carriageway near junction 32. No injuries had been reported in the initial call. The force's Customer Contact Centre warned drivers that the crash had taken place in live lane of the motorway, although it was not clear whether the vehicles were blocking traffic.